To ensure that your toddle actually walks down the aisle spreading joy, it's wise to put her in something that she'll love wearing. 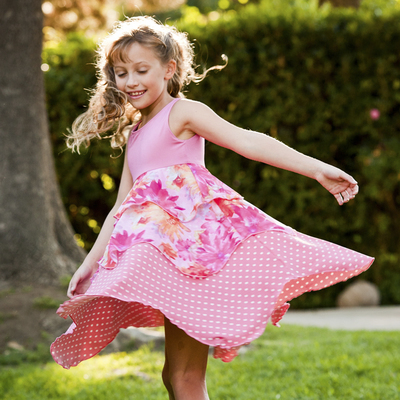 These toddler flower girl dresses will put her in a great mood. With 3 cascading twirly layers, they can be worn for a very special event, or every day. It's very soft, durable, machine washable and looks great every time she wears it. A child wants to play, that's first and foremost in their mind. With an exciting dress to twirl around in, big and little girls will always be up for anything, even walking down the aisle.